Make this easy, all natural hair mask recipe for hair growth! 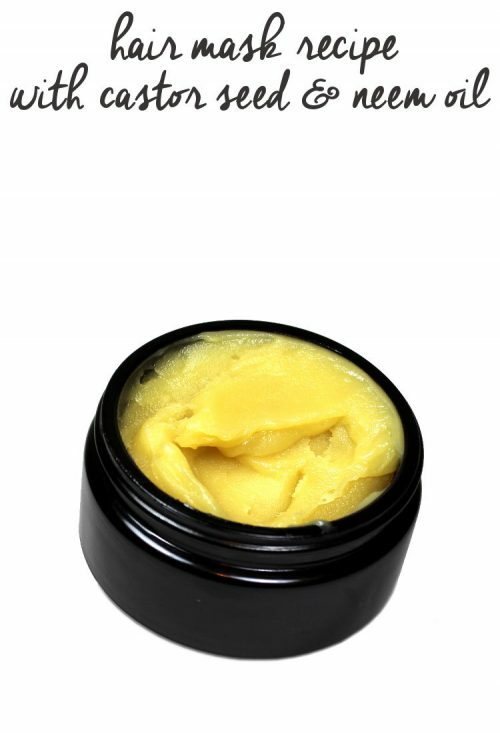 This hair mask recipe contains natural neem oil and castor oil as key ingredients that help to encourage hair growth. In addition it also contains coconut oil and sal butter to help moisturize and repair hair and a blend of essential oils for scalp health. You can use this hair mask recipe for hair growth daily or weekly depending on your needs. To use for hair growth, massage this natural hair mask into your wet hair and scalp. Leave on 5-15 minutes, then shampoo and condition as usual. For hair that’s also dry and damaged, you can use this hair mask recipe for hair growth as a conditioner after shampooing. Simply wash your hair as usual – I highly recommend using a cleansing conditioner over traditional shampoo to keep from stripping essential oils from your hair and scalp – then apply the mask. Wait 5-10 minutes, then rinse as usual. It’s normal to feel like you still have product in your hair after rinsing, however, once your hair dries, it will be soft, shiny and bouncy, not heavy or greasy. The neem oil and essential oils in this natural hair mask recipe are also helpful if you have dandruff and other itchy scalp conditions! Once melted, weigh out the coconut oil and stir into the melted butter and wax until it melts. If needed, you can reheat the mixture slightly. Now weigh the castor oil and carrier oil and stir into the melted hair mask ingredients. I used grapeseed oil for my hair mask recipe which, like castor and neem oil, help to encourage hair growth. However other options include sesame oil, evening primrose oil, and jojoba oil. For additional moisture, softness and shine, you may want to try argan oil. Now that these ingredients are combined, use graduated transfer pipettes to measure out the essential oils. Using a fresh pipette for each essential oil, add the essential oils to your hair mask and mix well. Allow your hair mask to cool before screwing on the lid. You can then place your hair mask in the refrigerator if desired to allow it to finish solidifying. In particularly warm months this can take up to two days depending on your climate. My home has a/c and it took several hours in the fridge to reach its final consistency. Once you hair mask has set up, it’s ready for use! I hope you enjoy my hair mask recipe for hair growth as much as I do! For more natural hair care recipes, visit Soap Deli News blog here. 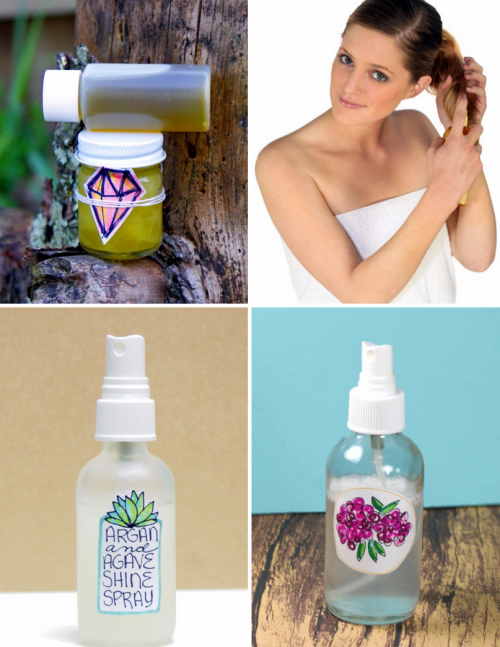 You’ll discover ten fantastic hair care recipes including other hair care mask recipes, shine spray recipes, shampoo bar and dry shampoo recipes and more. To discover more of my hair and skin care recipes from my blog and around the web including my homemade soap recipes and bath and beauty recipes be sure to follow my boards on Pinterest. You can also follow me on Blog Lovin’, Tumblr, Facebook, Twitter, G+ and Instagram. Can this be applied at night, wrap the hair (let’s say in a scarf or night cap) and washed out in the morning?